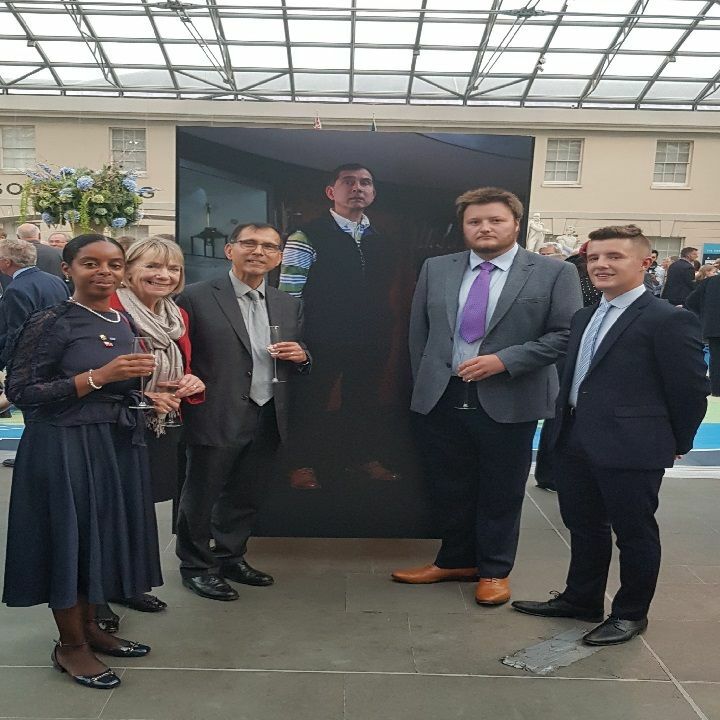 On Wednesday 19th September, representatives past and present from the Marine Society and Sea Cadets attended a Gala Reception hosted by the National Maritime Museum, Greenwich. Guest speaker Sir David Attenborough OM FRS, Royal Museums Greenwich Honorary Commodore, opened four new galleries – Polar Worlds, Tudor and Stuart Seafarers, Pacific Encounters and Sea Things. MSSC staff (past and present) and Sea Cadets who attended were Mark Windsor, Carla Rockson, Joan Pickering, Nick Chubb, Harry Clark and Cathall Hegarty. Bill Collier, Anastasia Finch and Charles Woodward were not available to attend the event but were part of the project. Several months ago MSSC staff (some now past employees) were invited to be a part of the beachcombers project developed by the Royal Museums Greenwich. This was part of their exciting Endeavour Galleries Project to create four new galleries that would appeal to a wide range of people in order to make the museum more accessible, create community ownership, represent invisible history and more collaboration to create a social and inspiring place. MSSC staff were invited to be part of the Sea Things Gallery where visitors can explore, interact and find their own connection to the sea. During the development stages of the project, MSSC staff were invited to attend the museum to have their photographs taken with a wide variety of weird and wonderful artefacts related to the sea and give their thoughts on the object. These photos and comments are now part of an interactive display to support the objects being displayed in the gallery. The Museum invited MSSC to be a part of this project, recognising the important part we play and representation we have within the maritime industry and with communities and young people across the country. The event was well attended and everyone had a great time. The gala evening was opened by amazing Polynesian dancers, the Minister of Arts & Culture gave a speech and acknowledged the contribution of the Lottery Fund to the project and finally Sir David Attenborough gave a captivating speech to open the galleries. A fantastic time was had by all!! On Tuesday 18th September, Carla Rockson and Joan Pickering were invited to give a presentation to the Royal Navy’s Learning and Development Operations Team. 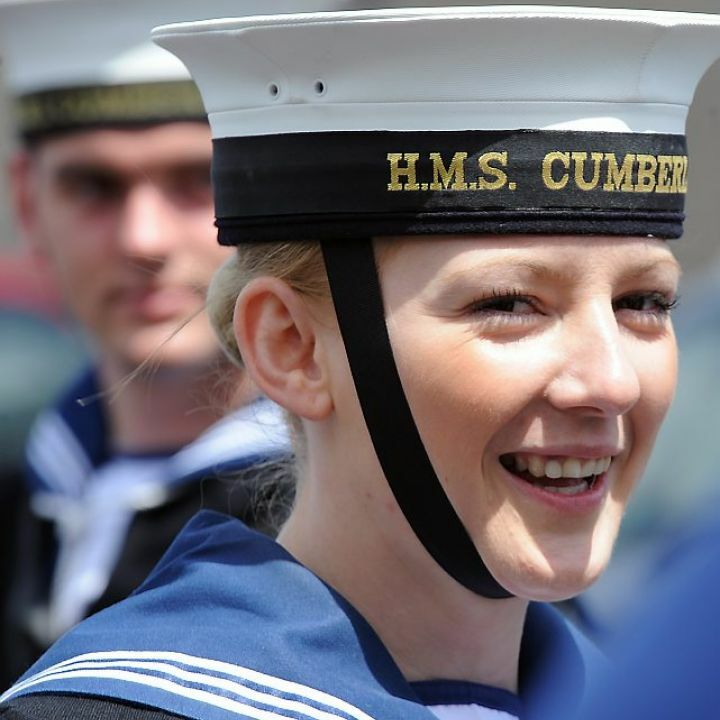 This Team promote learning and development opportunities to serving personnel whilst on duty by visiting ships and overseas locations. Our GCSEs and A Level offer are very popular and promoted well by the Education Officers, who are impressed by the fact that our learner is given quality academic and pastoral support, are heavily subsidised and that our exam results are excellent. They were impressed with the compact design of our latest 2018/19 brochure making it easier for them to take out to ships and is now being distributed to RN Learning and Development Centres around the country. 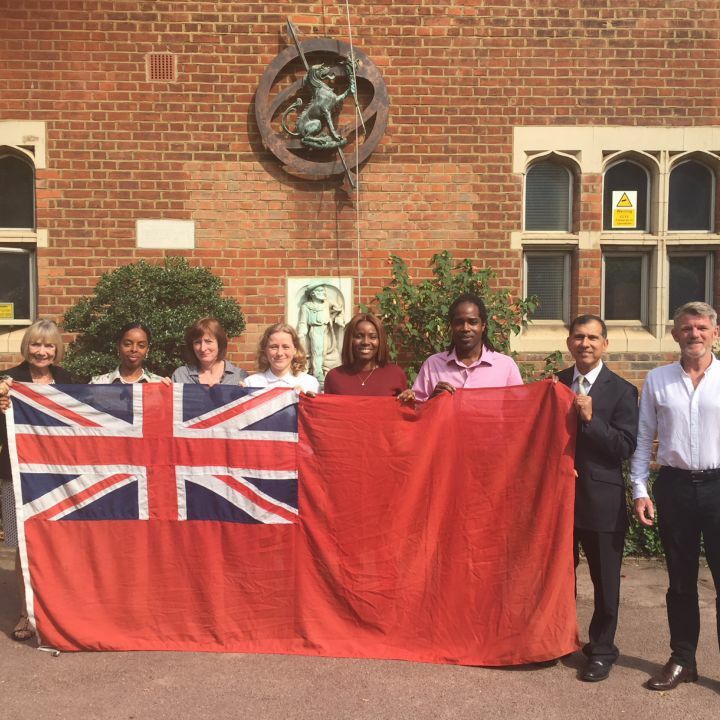 On Sunday 9th September, Carla Rockson and Joan Pickering attended the annual Merchant Navy commemorative service which was held in Trinity Square Gardens, Tower Hill, London. The service was well attended by many representing all aspects of seafaring to give thanks for those who gave themselves in the service of our nation at sea. This year we were also remembering the 100th anniversary of the ending of the Great War and the contribution made towards that end by the men and women of Merchant Service and Fishing Fleets. Wreaths were laid to pay respects to those who had lost their lives at sea and recognition was given to those who serve today. The service was led by The Revd Jeremy Hellier, BD, AKC, CF and the guest of honour was The Second Sea Lord, Vice Admiral Tony Radakin CB. A message from the Prime Minister was read out the MP Jim Fitzpatrick. 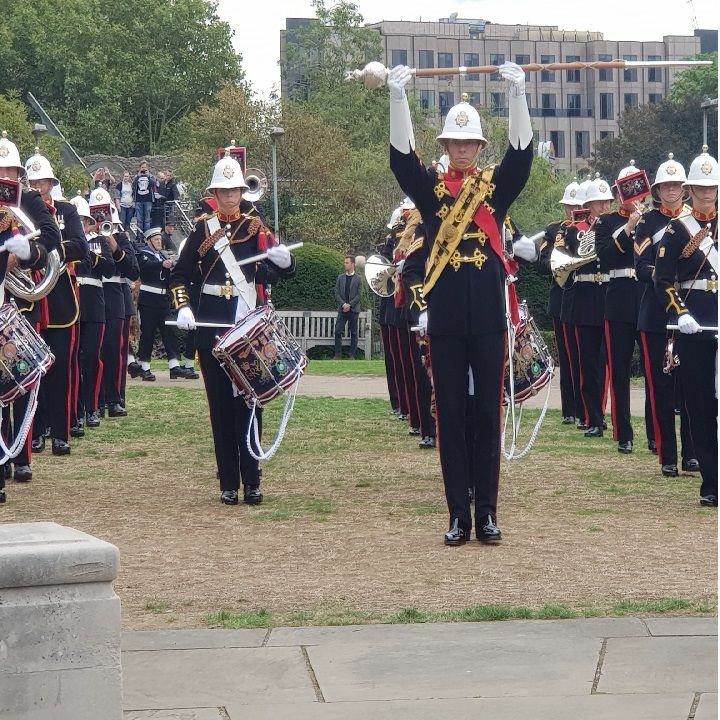 The Band of HM Royal Marines Portsmouth played which was enjoyed by all and attracted local tourists. Carla Rockson and Joan Pickering paid their respects by laying a wreath on behalf of Marine Society & Sea Cadets. Merchant Navy Day serves as a timely reminder of the importance of seafarers and the valuable role they provide, from coastguards and cruise liners to those ensuring that huge quantities of goods move safely to and from our island nation. We would like to take this opportunity to acknowledge the hard work and dedication of those who work at sea, and wish all those in the Merchant Navy a safe and productive year ahead. Our dedicated team here at Marine Society works to ensure those working in the Merchant Navy can further their education and have access to onboard libraries improving knowledge, wellbeing and social relations at sea. For 262 years we have been supporting all seafarers to get ahead in their careers. 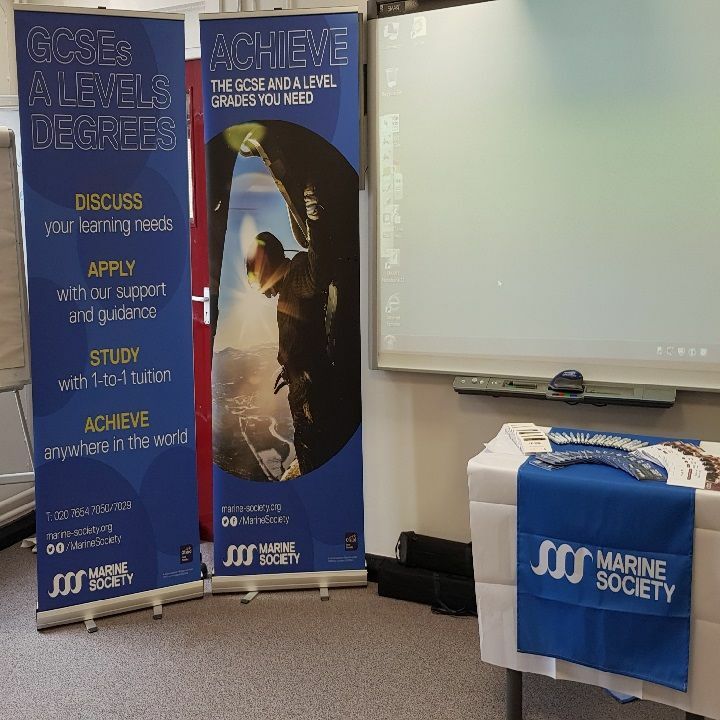 Whether supporting them to study a range of formal qualifications - often at long distance - via our Ofsted-certified Marine Society College or providing them with books and libraries at sea. We're now also able to offer an online bookshop which can provide seafarers across the world with books and we have developed a free app to enable seafarers to learn online. "If it hadn't been for the Marine Society's help I wouldn't have been wearing the uniform shown in the photo back in 1965. 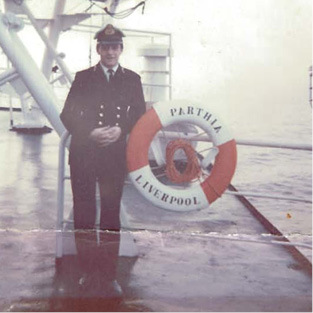 Without their help I would not have been able to fulfil my marine engineering ambitions to become chief engineer. Their help was also invaluable in my gaining higher academic qualifications and later to become a marine surveyor and consultant. As a thank you, I have bequeathed a cash gift to the Society in my will. I hope others will do the same." Mike Wall, BSc, MSc, FIMarEST, CMarTech, QDR.